When you’re looking for a new online poker room, the quality and value of the signup bonus can often be what swings the deal. However, there are a multitude of great poker sites and Welcome Bonuses out there and sifting through them all can be time-consuming and confusing. Thankfully, there are a number of helpful resources that make finding the right online poker bonus quicker and easier. Going to a specialist online casino review site is a good start. 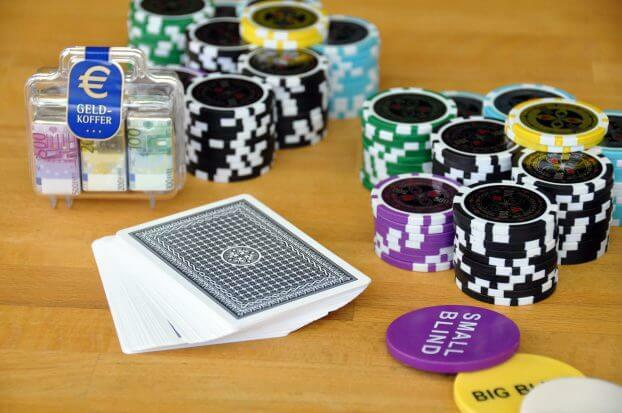 Not only do they contain extensive reviews of a casino’s poker offerings and other games, but they will also give you a range of other useful guidance as well, such as information on the rake or wagering requirements, the range of tournaments you can enjoy, along with details on deposits and withdrawal procedures. See this review to get an idea of the sort of useful information that is provided on these sorts of sites. However, one of the biggest advantages of using a casino review site is that they very often feature exclusive links to deals and bonuses that you can’t get anywhere else. In order to claim one of these exclusive offers it’s usually the case that you’ll require a bonus code, and so when you’re ready to make a choice about signing up for a new poker room, it makes sense to do so via a review site, as you’re likely to get a better deal using one of these codes (visit this site for an example). The types of poker bonus you can expect to pick up will vary a good deal from site to site, which is why getting some expert guidance is always a good move. For instance, if you’re considering a deposit match bonus, take into account the maximum amount you can receive as a match, but also check the minimum you have to deposit to be able to receive a bonus as well. You also have to consider the size and frequency of the increments in which you receive the bonus sum and how much you have to contribute to the rake to get each installment. No deposit poker bonuses are also a good option, but with these you need to check whether the deposit is straight cash or a mix of cash plus entry into tournaments. Also, bear in mind that although you can play for free with a no deposit bonus, you’ll need to make a deposit and a set contribution to the rake before you can cash out. A lot of casino rooms will offer free entry into online poker tournaments as part of a signup bonus. This might be entry into a free sit n’ go tournament or into a small scheduled tournament with a limited cash prize. In either case, these can add significant value to a Welcome Bonus, especially when there are good sized prizes, as is often the case with free-roll tournaments. If you’re serious about playing poker online, you should aim to get as much tournament experience as possible. Especially as many special events now offer leading players the chance to compete at the World Series of Poker. Taking advantage of the tournament entry that comes with a signup offer is a good way to get valuable tournament experience under your belt without it eating into your stack too much.